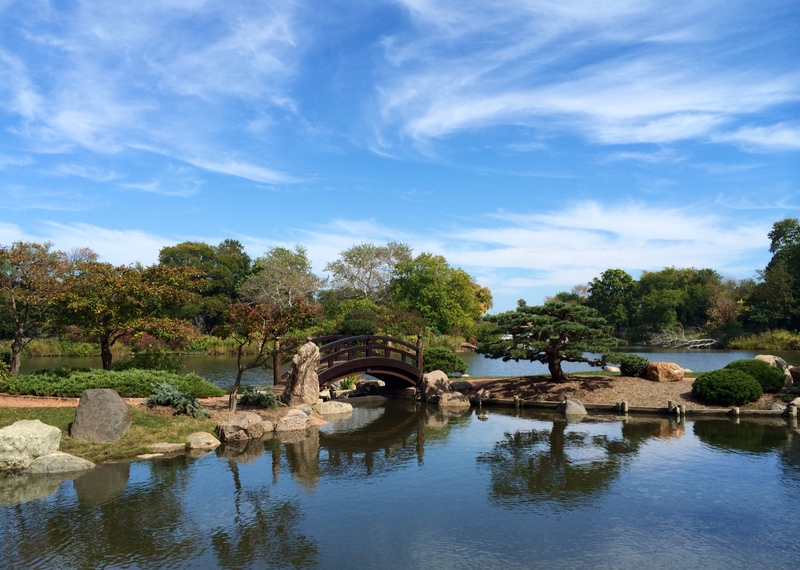 I spent Sunday at Chicago’s Osaka Garden, an expansive Japanese garden situated in Hyde Park next to the Museum of Science and Industry with an interesting history. What a beautiful hidden gem! This is the third essay in a series about moving to Japan, specifically for those going to Japan with the Japan Exchange and Teaching (JET) Program. See part one here and part two here. When thinking about my three years in Japan, the most stressful times for me didn’t usually involve acclimating to Japanese culture but rather moving — both within Japan and back to America. It’s not something I wish to do ever again. However, to make your transition a bit easier, below are some brief tips about what to pack (and what not to pack) before you leave for Japan, as well as other general tips about your last weeks before departure. Next in Transition Japan: Your First Week in Japan. I was allowed to bring two large suitcases under a certain weight and a personal item. Check with your local JET Program Coordinator and they should be able to answer specific questions about weight requirements, restrictions, etc. It was nearly impossible for me to fit everything I wanted to within these restrictions, but with a little planning, it shouldn’t be too much of a problem. A careful selection of clothes. The first part of Japan I lived in — Namerikawa-shi, Toyama-ken —had similar weather to Chicago, though a bit milder. This meant I was prepared for hot summers and brutally long winters. Japan’s climate can vary greatly per location, so do your research before packing your parka, or your swimsuit. Your work clothes will most likely be most important when you first arrive since you’ll want to make a good impression, so decide on a few basic conservative work outfits to get you through your first week. Focus first on summer items, as it will likely be very hot and humid anywhere in Japan. My parents kindly sent me a package of my winter clothes as it got colder. Some JETs went home for winter vacation and could bring back more clothes then, too. Also, keep in mind that your ability to buy clothes in Japan will depend on your height, body type, shoe size, budget, etc., so just plan ahead and ask a lot of questions to your predecessor about what is available to you if you’re worried. Two to three pairs of shoes, including new ones that will be your “indoor shoes.” Again, prioritize work shoes, and designate a new pair of shoes as your “indoor shoes,” as you will have to change into these before entering your school. I bought a pair of black TOMS shoes as my indoor school shoes, and they worked well for me for three years. I’m a runner, so my running shoes also made the list. Enough underwear/undergarments to last you at least one week. I could only do laundry about once a week, and you’ll very likely live in an apartment without a dryer, so that means hanging your clothes to dry (not fun in the winter and during the rainy season). As a general rule, bring enough undergarments to last you at least a seven-day cycle, and budget on having at least a five-day work outfit routine that you can rely on. Deodorant — I had a hard time finding American brands, so I do recommend bringing about two sticks of your favorite brand. Start-up Money — The amount of money you need in your first month varies greatly depending on your location and when your first rent money is due. Budget to bring about $2,000 in start-up money if possible, though working with less is possible if you live in a smaller town. Soap, shampoo, toothpaste, contact solution, and other general toiletries. All of this can be found easily, unless you’re attached to a certain brand. There’s some skepticism if Japanese toothpaste has Fluoride in it, but I could find Aquafresh with ease. Bring a travel size of your favorite brand if you’re really concerned. Towels. You’ll be able to buy this all in Japan cheaply and conveniently. However, bringing one towel for your first night in your apartment is a good idea. Packaged food, unless you’re seriously addicted to some specific snack. I could find almost anything I wanted in Japanese supermarkets, and there’s always the Foreign Buyers’ Club if you’re really craving something. Books — I think it’s definitely OK to bring one for the plane ride and your first weeks, but I don’t suggest stacking up on them. Rather, you can use Amazon.co.jp, your new JET friends (often there will be a local library within your JET community), or if you can afford it, invest in a Kindle or iPad. This will be much more economical, especially if you plan to stay in Japan for more than a year. Teaching Materials — There will be books you can buy at orientation if you really think you need them, but in general, your best resources will be your fellow JETs who have experience teaching, websites, and your school. For the ladies, feminine napkins should be easy to find, though I do suggest bringing a few boxes of your favorite brand of tampons. Become friends with your JET Coordinator, who should be very knowledge and will likely be sending you a lot of e-mails about specific requirements you need to take care of before you leave, including your visa application, background check, and health check. Don’t try to squeeze a goodbye in for everyone you know. This will only give you a giant headache and you’ll likely leave someone unintentionally out. I spent my last few weeks in Chicago with close family members, who organized a nice barbeque for me about one week before I left. You’ll always have access to e-mail and Skype for those who you can’t see but want keep in touch with. Am I forgetting something important? Write in the comments below and I’ll do my best to respond promptly. The list of things I miss (and don’t miss) about Japan is long and complicated. But without a doubt, the efficiency and thoroughness of Japan’s high-speed rail system is high on the list of things I wish existed in the Midwest. I explore this issue in my latest “Letters from Japan” series at Gapers Block. This is the second article in a series about the Japan Exchange and Teaching Program (JET) and about life in Japan in general. Read Transition Japan: The JET Interview (Part 1) here. I interviewed for JET four years ago, and while my memory of the day becomes less strong every year, I still remember walking down Michigan Avenue to the Chicago Consulate on a sunny February afternoon, hoping that in a few months, I would be on my way to a new adventure (and full-time employment). Luckily, I succeeded. Below are some questions I recall being asked by my panel. Good luck to all those interviewing for JET this month! 1). Why are you interested in the program? How I answered it: I’ve long been interested in teaching abroad. As a writer, I think it’s important to always explore and experience different cultures and see the world from a new perspective. I’m also interested in giving back to the community, and I see the JET Program as the most established program to accomplish these goals. Bottom line: Answer honestly and thoughtfully, but make sure not to say it’s solely for personal reasons (i.e. a Japanese boyfriend/girlfriend). 2). What would you do if you had plans with a friend after school one day but a Japanese English teacher asked you to stay late? How I answered it: I’d stay after school but hope in the future, the teacher and I would be able to communicate more effectively about our schedules. Bottom line: Demonstrate professionalism and that you can handle tough situations with grace and with a smile, even if you don’t know the exact solution immediately. 3). What are some of your goals? How I answered it: Since I’m trained as a journalist, I’d love to start a newspaper with my students. I think it would be a great way to get to know my students. Bottom line: Talk about your passions and what you’d like to teach your students, or how you’d like to interact with them outside of class, be it through sports, art or other extracurricular activities. 4). What if you get there and you can’t do that? How I answered it: Well, I’d move forward but hope I could find other ways to get to know my students. I have enough work experience to understand that no job is perfect, but I know how to work hard. Interesting note: When I got to my school, I asked about creating a newspaper with them or writing a column for my students’ existing newsletter. I was told no (politely) but luckily moved on and still had a great time at my school. Bottom line: Once again, show that you’re professional and that you won’t be dismayed when something doesn’t go your way. Chances are, you’ll be told “no” on a lot of occasions, but that shouldn’t stop you from achieving your goals and being a successful JET. 5). You wrote in your application that you lived and worked in Ireland after graduation. Did you experience any culture shock there? How I answered it: Yes, I still remember asking a bus driver for directions using a street name. He laughed and told me that streets in Dublin change names every few blocks. All the streets were so circular that I got lost constantly. But there wasn’t a language barrier, and lots of people thought I was Irish, so I didn’t have too much culture shock. I think being in Japan will be more challenging, but in some ways, I think not knowing the language is an advantage because my students will be forced to use English with me. (Note: When I said this last comment, I received some strange looks from the former JET participants. Now I know why. You MUST study Japanese during JET to have a more meaningful experience, but I still believe in only using English in the classroom and as much as possible with your students). Bottom line: If you have studied or lived abroad, show that you know how to handle culture shock. If you haven’t studied abroad, that’s OK! Just demonstrate that you have an open mind and can overcome challenges/bouts of homesickness. 6). Tell us about your placement preferences. How I answered it: I put anywhere near Kyoto as my first choice because I visited there once before and thought the city was a perfect mix of old and new. Side note: Little did I know that 1,000,000 others also probably placed Kyoto as their first choice. I now laugh at the fact that I thought I had a chance of being placed anywhere near there. Bottom line: Be honest about your reasons, but show you’re flexible too. 7). What would do if you didn’t get placed in a city (which was my first choice)? Bottom line: Show you’re willing to move almost anywhere in Japan (country, suburb, city, north, south, east, west, islands). Unless there is a specific medical reason you need to be somewhere, your placement choices probably don’t really matter. This is the third article in a series about the Japan Exchange and Teaching Program (JET) and about life in Japan in general. My goal is to “demystify” Japan and encourage anyone with an interest in teaching abroad to consider JET. Read my first post, Transition Japan: Your Apartment, here, and my second post, Transition Japan: Your Town & JET Placement, here. An aspiring JET recently e-mailed me regarding her interview for JET. She asked for some advice about how to succeed, so I thought I’d share some general tips for anyone interviewing for the program. Although my memory is fading a little bit from my interview four years ago, my understanding is that all JETs will be assessed by a panel of three (likely consisting of two former JETs and a Japanese representative). These tips are aimed at those applying for the Assistant Language Teacher (ALT) position. 2. Practice answers to basic questions. An obvious question that you’ll likely be asked is, “Why do you want to become a JET?” Be sure to have an honest and thoughtful response showing that you are knowledgeable about the JET Program and enthusiastic. 3. Show flexibility. I think in general, those interviewing JET candidates want to see someone who is flexible — that is, someone who can handle challenges. Living in a foreign country and immersing yourself in a foreign culture is incredibly rewarding but also incredibly difficult. With JET, you’ll likely have no say in where you’ll live and what ages you’ll teach. Show that you’re interested in the program, not just living in Japan. 4. Don’t babble solely about your love of Japan. This is only a personal opinion, and let me preface this by saying that having an interest in Japanese culture is vital for any successful JET. However, solely talking about your love of the country may not be the most successful interview strategy. Remember, you’re competing against thousands of other applicants who may have also minored or majored in Japanese studies. Showing that you have interests and hobbies beyond Japan will make you seem like a more dynamic applicant. 5. Emphasize past work experience. Even if you’re a recent college graduate, demonstrate that you’ve succeeded in past positions and understand how to be professional. I think part of the reason I was successful was because I had a lot of work experience prior to applying for JET, including a lot of positions that required working with individuals from foreign countries. I was honest in my interview and said that I understand no job is perfect but I know how to work hard. Ultimately, I think this helped me become a JET. In part two, I’ll discuss the specific questions panel members asked me during my interview.